Happiness, it’s the elixir of life. But, how many of us would like to be happier? And how many of us find work a critical factor in determining our level of happiness? We spend so much of our lives working, it’s inevitable that our careers play a key role in shaping our happiness. But, it doesn’t mean our happiness has to play second fiddle to our careers. We discuss many aspects of life as if they’re on a spectrum. Mental health. Political beliefs. Sexual orientation. Even happiness. We’re all somewhere on that happiness spectrum, at any given moment, on any given day. Like other spectrums, our position on it is not limited or fixed – our mood is constantly changing. Our happiness is affected by all kinds of factors: the chemical balance in our brains; our relationships; what we’ve got for dinner; or even what day of the week it is. Anyone else feel happier on a Friday lunchtime than on a Monday morning, or is that just me? But, joking aside, that does point towards perhaps one of the biggest overall factors of our happiness: work. If we look more closely at the relationship between work and happiness, there are some key observations to be made. 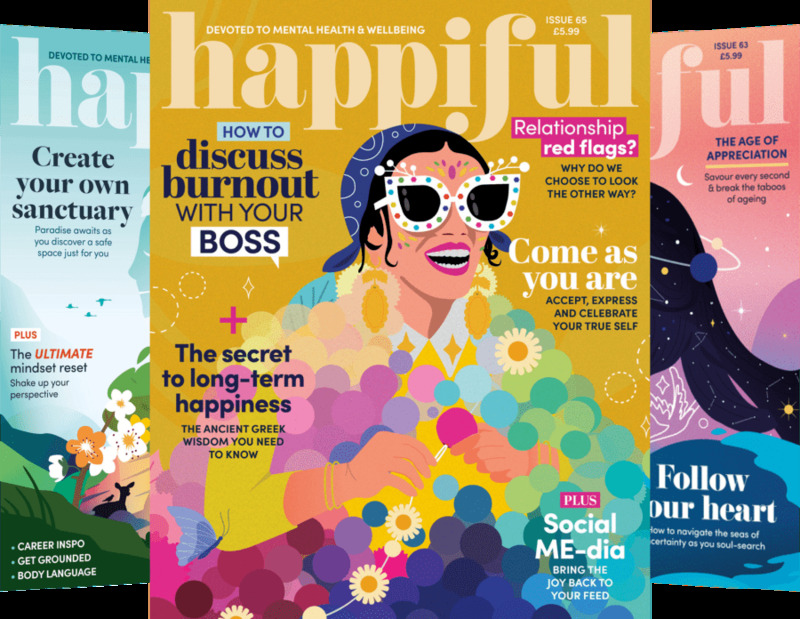 Stress, work/life balance, unsociable hours, difficult colleagues – just a few of the things that can prevent us from being happy. But, we put up with it, because we’ve got to earn a living, right? Paying the bills is obviously an important aspect of our lives. But, to be truly happy, we have to strive for more. I’m talking about engagement. Feeling fulfilled, gratified, like you have a purpose or a calling in life. “Choose a job you love and you’ll never have to work a day in your life.” We all know the saying. Good old Confucius. But how many of us are actually lucky enough to be doing that? We don’t all have the luxury to be able to jack it all in, to do what we’ve always wanted – because, at the end of the month, the bills are still there. But maybe, despite the reality, you’d always hoped that one day you’d get the chance to turn what you love doing into a lucrative career path. Or, maybe you don’t really know what’s going to get you excited for Monday morning. Well, what if we all just stopped and reconsidered? Stopped dreaming, stopped wishing, stopped wondering. Stopped trying to stick to a path that we think is destined for us, stopped thinking that we’re limited to the life we’re currently living. Stopped pretending that we’re really living life to the fullest. What if, instead, we refocused on what we can do right now to make life more enjoyable and filled with happiness? What drove you to follow your passions? Pursuing a personal quest for meaning in my life grew out of my experience of being held hostage in Indonesia. Escaping this traumatic situation gave me courage; I felt so lucky to be alive. I began to ask myself fundamental questions about what I wanted to do with my life, and contribute to the world. What’s been the biggest learning curve in following your dream? A lot of what I’ve done has been from gut instinct. It was a big thing to found and run a charity. It means I’m trusting others to volunteer their time and energy, purely out of the goodness of their heart. I feel enormous gratitude to those who help me and the charity. Realising how much can be achieved by working with others has been a huge part of my learning curve. I never expected us to make such a huge difference to the lives of children in Bhutan, but the reality is we have. It’s when I’m with these children, and I see how much the charity has done to transform their lives, that I’m at my happiest. Have you ever regretted leaving your old life behind? No, I’ve never regretted leaving my financial career behind. Indeed, many of the skills required in running a charity mean I continue to use those very skills – just the reason for using them is different. I’m grateful for the skills and determination I learnt in the City and am pleased to see them coming to full fruition in helping children in Bhutan. In terms of living a celibate life dedicated to helping others, this may seem like a big change. But, I was so inspired by my Lama [teacher] in Bhutan that, honestly, it was easy to adapt to this. I realise there’s a calmness of mind which comes from caring deeply for others, without being caught up in a relationship with just one individual. I realise it’s not for everyone but, for me, it’s the right way. I wish to help as much as I can while continuing my Buddhist studies and daily prayers. For me, the discipline of time spent in this way, praying and meditating, is crucial in giving me the strength to carry on doing my very best. I hope the charity will complete building the special needs school in East Bhutan this year. We need to raise a further £40,000 to do this and I’m very hopeful this will happen. To see the school complete will be wonderful. What convinced you to make your passion profitable? I got bitten by the travel bug. I was using any opportunity between university and work to travel, saving my money and then spending it on the next adventure. I knew this wouldn’t be sustainable in the long run, so I had to try to make my passion into my career. I quit my job, sold my stuff and started working towards becoming a full-time traveller. How were you able to make this your full-time career? I’d been talking about leaving my UK life and travelling for a long time, but it didn’t seem real until I actually booked the flight. I decided to book a one-way ticket, as a push towards what I really wanted to do. After nine months, I’d burnt through all the money I’d saved up. I didn’t put enough work into carving this new life and spent all my time just enjoying travelling. My fall-back plan was to head to Australia on a working holiday visa and save up enough money to travel again. After six months, I was ready to go and was determined not to fail. I started doing freelance web design while building up my blog and YouTube channel and, this time, it all clicked – the only difference was the amount of work and time I put into it. Have you ever had moments of doubt? There’ve been times where I’ve been on top of the world, and times where I’ve wanted to quit it all. The main thing I try to remember is that everyone feels this – there are highs and lows in every walk of life. However, when I think about the future, it always involves travel and inspiring people to pursue their dreams. impact on someone’s life and given them the push to chase their own dreams, that’s real. What advice would give to those looking to make a career from their passions? The main thing holding people back is usually themselves. You might be telling yourself that now isn’t the right time or how, if you had a bit more money it would all be possible, or how there are other people doing it already. The truth is, there’s never a good time. There’s never enough money. And, why aren’t you better than anyone else? Believe in yourself and start doing it now. The hardest part is just starting, you can figure out the rest along the way. What encouraged you to make a career change? After a year running the business part-time, I had the opportunity to take redundancy and jumped at it. I was desperate to spend all my time creating beautiful designs and doing what I loved. Honestly, it’s the best decision that’s ever been taken out of my hands. I’m not sure if I’d have been brave enough to take the leap myself! You work for yourself now. How tough is it? It’s really tough in a way that’s difficult to explain. Obviously, I love my job, but I really struggle with work/life balance and switching off. There’s always an email that needs a reply or an issue that needs your attention. It’s very difficult to forget about it and just relax! Motivation is also incredibly important, but mine lies in my passion for my work. Although self-employment can be tough, it’s a pleasure to do what I love every day and to have a business which sustains and supports the life I want to live. Have you ever regretted the decision? Last year, I really doubted myself. I completely changed my services and prices so I could work with the clients I love to work with. I went through a quiet period where I had to really push my marketing efforts and rebuild my business. Luckily, I was working with a creative coach who helped me along the way – it was the best thing I could have done. Through times of doubt and regret, it’s important to remember the amazing work you’ve done and push yourself to get back to a good place. I’ve learnt to value my own work and have the confidence to reflect that through my services and prices. Many creatives are belittled about charging for their work but, if you’re confident in your own abilities, you can ignore other people and create a sustainable business. Now I’m at a good place with my work, I want to focus on creating more balance in my life. It’s easy to get swept up in the hustle culture, but I’m done working 12-hour days! I’m going to reduce my workload and make more time for personal projects and relaxing. If running your business doesn’t create the life you want, it’s not worth it. If running your business makes you just as miserable as having a normal job, something has to change. Create the hours you want to work, create the business you want to run, create a life you want to live. Running a business is about having as much control and freedom as possible – you deserve everything you want from life! As happiness is subjective, it’s up to you to find out what it is that makes you happy. Whether that’s securing a dream job, finding faith, or picking up a hobby, the choice is yours. The most important thing is to be honest with yourself. Wherever you are on the happiness spectrum – whether you feel down, OK or wonderful – could you be happier? If the answer is yes, what changes can you make? What do you really want from life? Prioritise what’s most important to you. If you’re not drawn to anything in particular, look back at your childhood. Ask yourself: “What was I passionate about?” You might still have that passion – it’s just lain dormant for a while. Instead of focusing on making work not feel like “work”, figure out what you actually want from your career. More time to spend with family? To feel fulfilled in your work? Or is there an argument for working harder, to get more out of it? Once you’ve identified your happiness trigger, you can make changes to increase the time you devote to this. The pursuit of happiness might not be straightforward but, if you’re determined enough, you will find it. Start with something small. If you want to travel more, research trips and plan ideal routes. Having done background research, you’ll have more courage to dive in. If you’re deliberating over a decision that feels risky, be it quitting your job, moving abroad, or booking a trip you’ve always dreamed of, ask yourself: what makes it risky? Symptoms of anxiety and excitement are strikingly similar. So, if you catch yourself feeling anxious, try reframing how you look at the situation. Tell yourself it’s an exciting opportunity – not one to be worried about. Doing what you love only takes you so far. It’s integrity and commitment that will take you further. So, tell the people around you. Not only does this hold you accountable, but you open yourself up to extra support. If you want to make changes to your health and fitness, it’s common to hire a personal trainer. If you want to make changes to the rest of your life, then hiring a coach to advise and motivate you could be just what you need! Trying to be perfect and always make the right decision is very draining (and probably impossible). Instead, focus on finding the positives in every situation. Positivity and enthusiasm are contagious so, the more you embody these characteristics, the more you encourage others to do the same. The pursuit of happiness might not be straightforward but, if you’re determined enough, you will find it. So, if there’s one thing I hope you take away, it’s this: make a commitment to yourself and to your own happiness. Allowing yourself to be happy and to do things that make you happy is the best decision you’ll ever make.